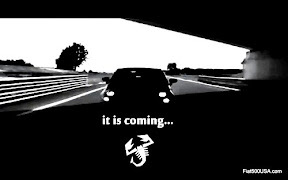 The Fiat 500 Abarth is on track to be one of the most sought after performance cars this year. 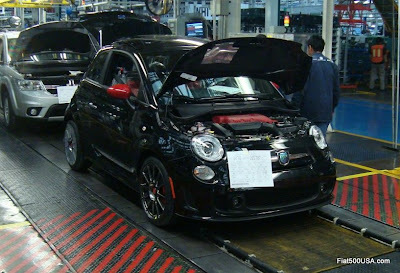 Fiat 500 Abarth orders are coming in at high rates and the factory is funneling them into production quickly and at an orderly rate. 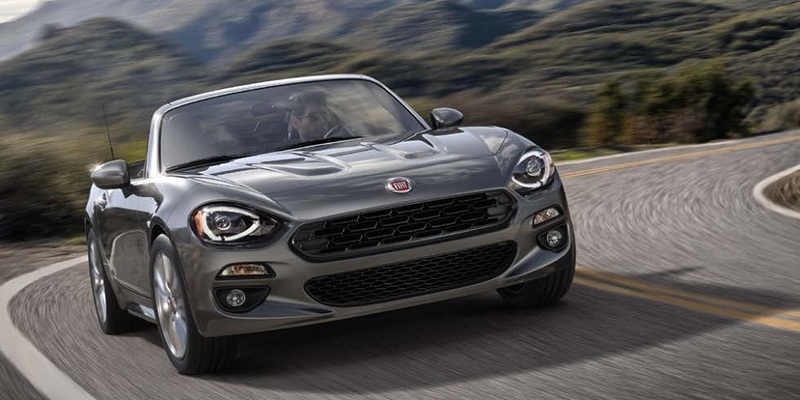 While this is all happening, Fiat USA has an asset for owners to track their new 500 Abarth as it makes its way through the system. 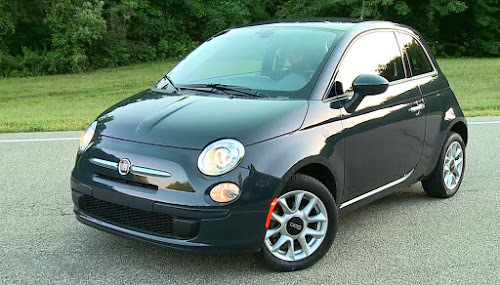 The link below goes to a vehicle tracking website that enables you to monitor the production status of your new Fiat 500 Abarth. 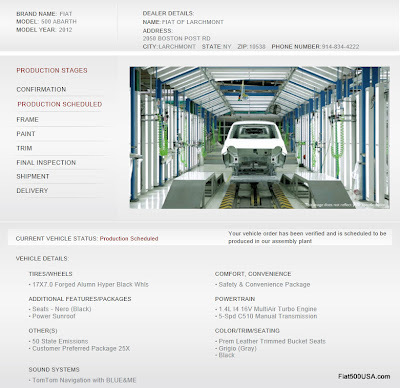 You will first need your Vehicle Order Number (VON), which you can get from your Fiat Studio. 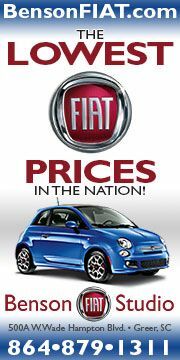 This is what you will see on the Fiat Vehicle Online Tracking website. 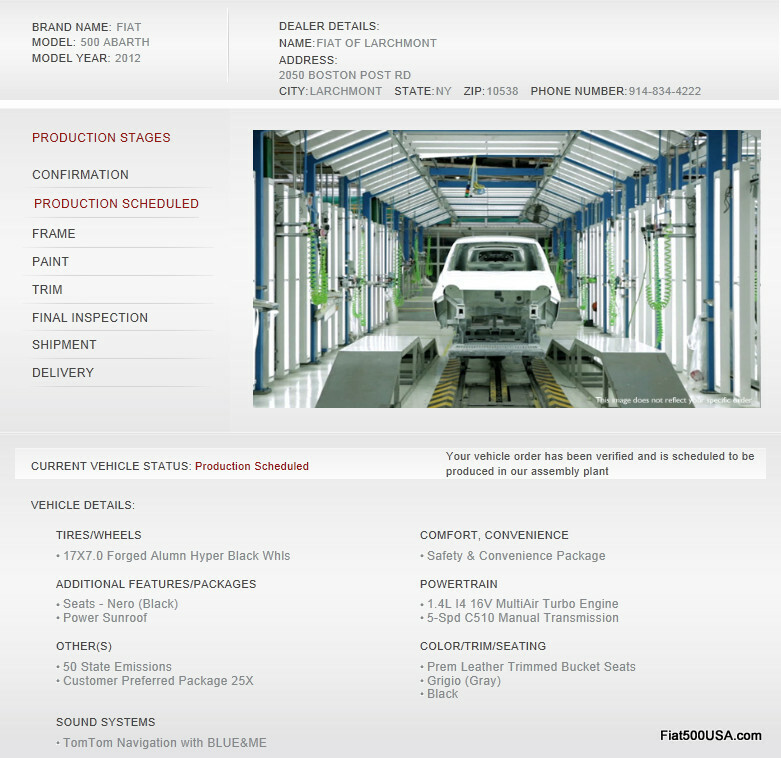 It is important to note that this is not a real time overview of the status of your car and it may lag behind somewhat. 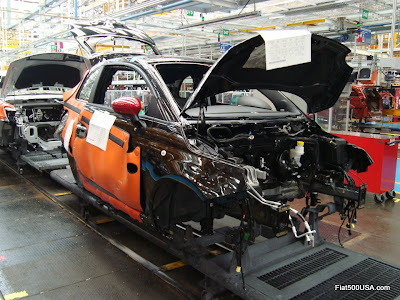 Rest assured, your car is moving along in the system as the logistics fall into play. 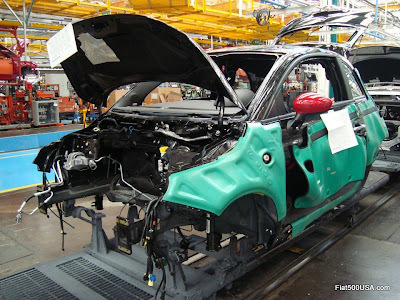 The Fiat 500 Abarth is produced at Chryler's Toluca plant in Mexico; one of the most advanced car manufacturing facilities in the world and has been building cars for more than 40 years. 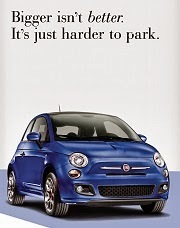 Check out more stories on Fiat 500 Production here. 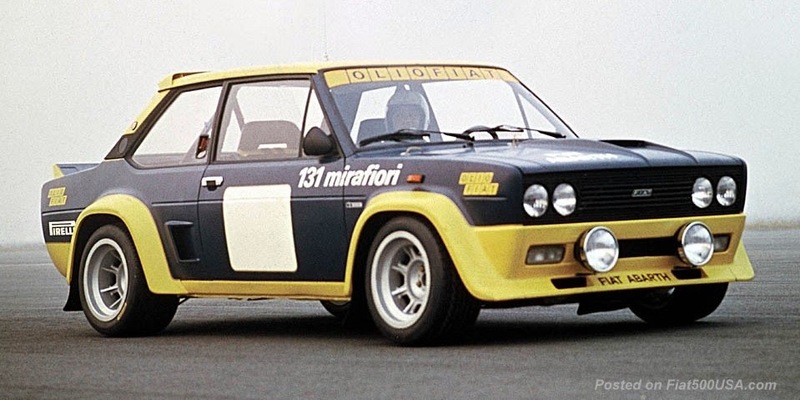 Fiat Production Codes and what they mean. These codes describe the various stages in the build process. 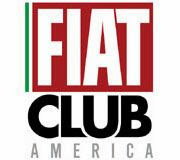 Visit the forum and talk with other Fiat 500 Abarth owners who are tracking their cars. Sometimes there is a delay in getting a status update or even seeing it on the site. I know it's tough to wait, but don't get frustrated. It eventually will pop up.